Change your career and life today! Present with confidence and ace your next interview! Get the salary you deserve and stop settling! Get hired today with your new resume! Want to hone your negotiation skills? Looking for your ideal job? Job Search Got You Overwhelmed? ... and get hired today! Our experienced resume writers and career coaches know inside-out what companies, recruiters, and hiring managers are looking for in today’s candidates. We know what it takes to get your resume to the top of the pile, how to help you brand yourself for career success and growth, and how to help you land every interview. Your satisfaction is guaranteed! We at APEX Career Services understand that no two job seekers are alike, so we use a thorough and personalized approach to your job search and personal branding strategies. We provide resume writing, cover letters, career coaching, interview coaching, salary negotiation techniques, career branding strategies, social media for job search consulting, and lots more. Are you ready to take control of your career destiny? Do you wish to take your career to new heights? Would you like to have a professional career counselor help you propel your career to a whole new level? You have come to the right place. Let us be the commanding force behind your career branding, strategy, and success. Contact us TODAY for your FREE consultation! Why Wait – It’s Free! Thanks APEX for helping me ace my med school interviews! I just received two letters of acceptance for fall 2012, and I am expecting some more to come. I could not have done these rigorous interviews without your coaching. Thanks to Nadine for the wonderful help she provided. Not only did she write a very strong resume and cover letter for me, but I was also able to ace my interview using the interview coaching techniques she taught me. Thank you, APEX Career Services! APEX Career Services is a professional company that delivers a phenomenal product. After deciding to make a much needed career change, I realized I also need an updated resume. APEX Career Services was able to review my outdated resume and put me back in the game with a powerful resume. Thanks APEX for a job well done. In this day and age, it’s hard to find a company you can trust. APEX Career Services was recommended to me by a friend, and now I know why—the quality of service I received was outstanding. Keep up the good work! After a long leave from the workforce to raise two children, APEX Career Services helped me transfer marketable skills to a new career. Not only did I change careers … but I also received a very competitive salary and benefits package. Thank you, APEX Career Services! The level of service at APEX Career Services is fantastic. Having been a customer for a while, I am consistently impressed by the professionalism of the staff. Thank you! Thank you Nadine for making me look so amazing on paper. My resume was amazing. I received many compliments on my resume from recruiters, and was hired by the first company I submitted my resume to. You were my lucky charm! I could never have gotten hired if I hadn’t received career coaching from APEX Career Services. I was confident, prepared, and self-assured as I sat through three interviews with the same company. Thanks to APEX, I am now a regional sales manager with a large area employer. Thanks, APEX. APEX Career Services is just what I needed. I cannot believe that I was able get a job so soon after I graduated a few weeks ago. I am now employed in my first professional position using my degree. I am so happy to be able to start the New Year off with a new job! After being a stay-at-home mom for 10 years, I was scared that I would not be able to go back into the corporate world as a professional again. I was wrong. I purchased a package from APEX Career Services and received a brand new résumé and cover letter that marketed my transferable skills as well as career coaching. Not only did I land a new job, I was also able to get a salary higher than what was advertised in the job announcement. Thanks to APEX Career Services, I am back in the game with a career change, a great salary, and a new sense of who I am. Your mock interview sessions and interview coaching was thorough and real-world. The coaching sessions were very helpful, and gave me the confidence I needed to interview well. I was getting responses to the resume you wrote, but just could not seem to get beyond the interview process. Finally, after my coaching sessions with you, I was able to land my dream job. Thanks Ms. Nadine. Thanks for coaching me on how to negotiate salary. I was so used to accepting what was offered to me, that I never knew I could negotiate. Thanks to your coaching, tips, and advice, I was able to get a promotion with a 10% salary increase. Thanks Ms. Franz. Hiring Nadine at APEX Career Services to write my resume, cover letter, and thank you letter was a great investment in my career search. My old resume was no competition for the new and improved resume Nadine wrote. I was blown away by how well she translated my skills and abilities on paper. As a result of my new resume, my phone rang off the hook, and I was hired within 1 month of receiving my new resume. Thanks Nadine! I will refer my friends and family to you!! It has been two years since I first worked with Nadine E. Franz and I only wish I had done it sooner. After searching for work with only a few nibbles over a nine-month period, I met Nadine and she quickly re-worked my resume and cover letter. She pointed out things I thought I had covered that I hadn’t. Within 30-days of sending out the new resume, I had two high level interviews scheduled. One led to a directors’ position. A year and a half later I was recruited to apply for a more senior level position with another agency. One of the first comments made to me after joining my new agency was how professional and clean my resume was compared to others they received. If you want to get your resume noticed, I strongly recommending working with Nadine Franz. After finishing a long basketball career, I was in desperate need of help with putting all my life experiences into a new career. APEX Career Services showed me there is life after basketball. Ms. Franz helped me to build a professional resume and cover letter. I instantly started to get interviews, which has brought my confidence to an all-time high. I would definitely refer her to anyone and everyone I come across who needs help landing his or her dream job. Thanks, Ms. Franz, for breathing life into my new career. 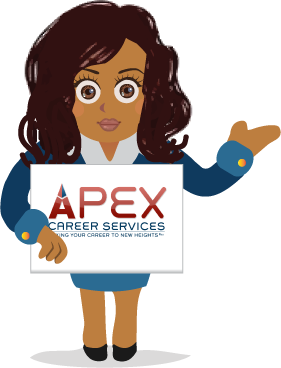 APEX Career Services is a must-have resource for any small business start-up. I have been proofreading and editing for years for a little extra cash. While I always desired to launch my skills into a full-fledged business, I didn’t know where to begin. APEX changed all that. The team at APEX Career Services held my hand the entire way and helped turn an idea into reality. From obtaining a tax ID, to establishing a web presence, to invoicing, to setting up payment methods, to various marketing strategies, APEX provided a wide range of expertise through each consultation. The professionalism at APEX Career Services is top-notch. I will not consider going anywhere else, as this team has demonstrated time and time again through its business consultations that it has the experience to steer Leiker Professional Services in the right direction. Working with APEX has been both motivating and empowering. If you have the opportunity to work directly with Nadine Franz, go for it! Her services are amazing, and you will NEVER be disappointed. I was laid off from my 'Fortune 500' company for more than seven months after being with them for 8 1/2 years. I was left with so many questions: What do I do next? How do I do it? And how and where should I start? I had heard all the famous stories about: “Did you know that people with degrees can’t find a job” or how about this famous saying, "You better take what you can get; it’s hard out there.” I was so confused and lost and could barely even get motivated to start my job search. And right when my back was against the wall and I was ready to give up, I met Nadine Franz through a mutual friend. I met the woman who changed my perspective and outlook on the job search, Nadine E. Franz with APEX Career Services. Things started to change instantly, and together we came up with some great strategies to take my career to the next level. My process with Nadine took one month, and I’m happy to say that I have landed the position I’ve been looking for! I’m a general manager with a new up-and-coming company. I would like to add that when you are working with Nadine at APEX Career Services, you are working with the best. I believe this is the best career investment I’ve ever made! NEED A CHANGE IN ALTITUDE? The highly skilled APEX Career Services team has developed a strategic approach that has helped clients accelerate their career aspirations to achieve higher results. We can help you too. Lost your job? Feeling the pressure? Climb above the financial and emotional stressors with the help of an APEX career coach who understands your challenges. Are you a military veteran in the transition from service to civilian life? Allow us to thank you for your service by assisting you with your job search. Parents returning to the labor force after voluntary absence will obtain from APEX the desired assistance to help reach that desired job. Are you currently thinking of a career change because of financial reasons, professional growth or need of personal fulfillment? Ascend into a new career path that will provide you what you need with APEX’s knowledgeable coaching. APEX will increase your opportunities to reach the peak of the corporate ladder with experienced and informed consulting. Make sure your business venture does not become part of the 80% of organizations that fail within the first five years. APEX will provide you a free consultation to help your business idea rise above the negative statistics. 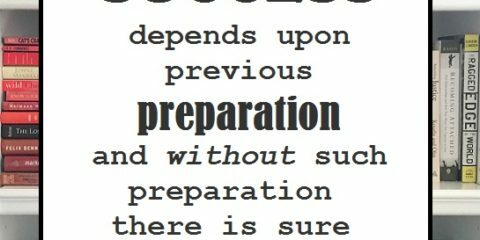 Time to apply everything you have learned during your academic life. Recent college grads eager to get started with their careers often make misguided decisions and end up working a job they hate or are underpaid. APEX will work with you to analyze your options and get you started in your career path. 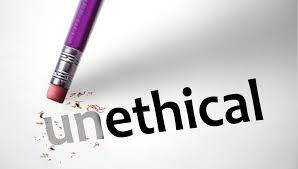 How to Identify Unethical Recruiting Techniques? The job search process can be stressful and time consuming for job seekers. While searching for the perfect job opportunities, it is important to be mindful that not all job postin .. 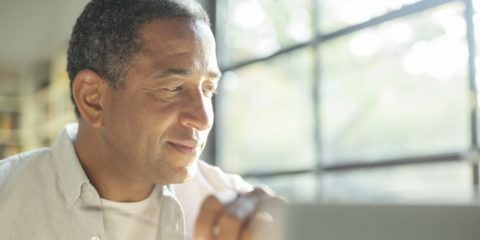 Important Job Search Tips for People Over 50 Years Old If you are 50 years of age or older, you might find the job search process daunting and frustrating. Why does it seem as if employers do not want to hire anyone over age 50? Is it ..
How To Achieve Your Job Search Goals in 2019 Happy New Year to you! 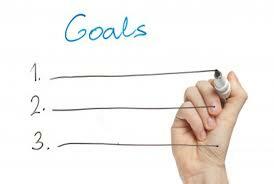 The time has come for you to enhance and execute you career search plan for the new year. Now that we have made it through the busy holiday season, employers ..
Steps You Can Take To Get Job Search Ready For 2019 December is one of the busiest months of the year, whether you are preparing for the holidays, hosting family, or trying to find a new job. We often hear of recruiters and hi ..